It wasn't really a dungeon -- that was Byron's conceit -- but a snug little apartment with a small garden. 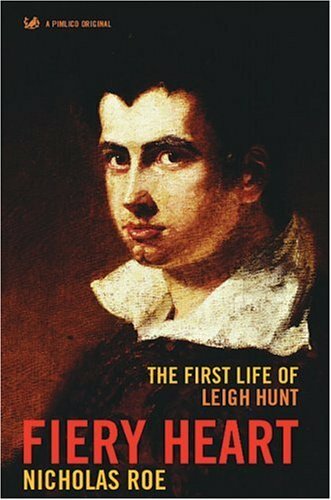 Nevertheless, the imprisonment of Leigh Hunt -- and of his brother John at a different, less cozy calaboose -- was an important step toward modern conceptions of personal and political freedom in Britain and, by extension, the rest of the civilized world. Hunt is more famous now as the friend of Keats and Shelley -- briefly Byron and Dickens -- and as the author of Abou ben Adhem, but the Hunt brothers' bold assertion of the right to a free press is, to me at least, his most important and meaningful venture. The circumstances were more congenial than for modernizers in most other countries. 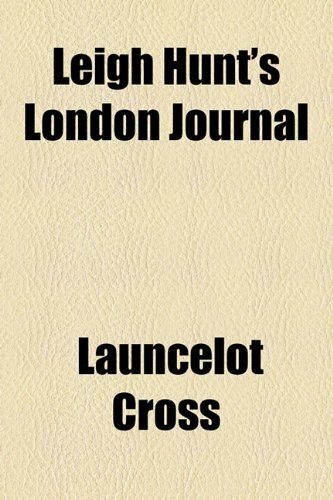 That two impecunious upstarts could take on the Prince of Wales with no worse damage than a lifetime of poverty from heavy fines was a tribute to the fact that England was considerably liberalized before they got started. 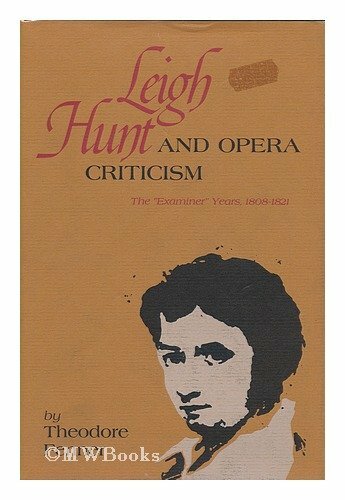 Anthony Holden seems more interested in Hunt's sponsorship and criticism of and feuds with literary stars ofthe Second Romantic Period. The feuds, like politics on condo boards, were bitter in proportion to their inconsequence. The Romantics and their foes were a touchy bunch. 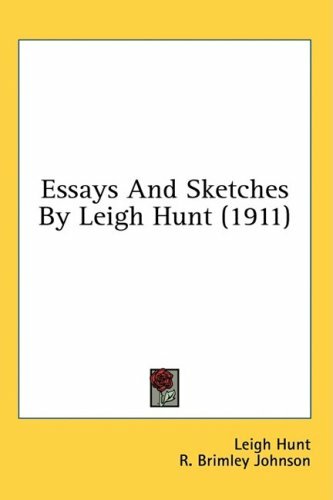 Since they dwelt in the literary world of the Regency and Victorian decades, they scribbled endlessly, and Holden appears to have waded through stacks and stacks of letters that -- judging by the numerous excerpts -- were unbelievably tedious and pretentious.Few men of even modest attainments did not leave enough correspondence to fill at least a double-decker volume, and a real pro like Byron left letters that fill dozens of volumes. 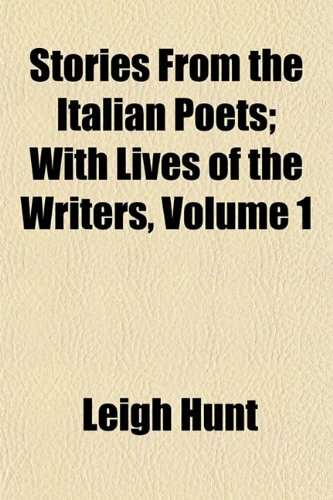 As a result of a hand-to-mouth lifestyle, Hunt emitted a vast amount of journalism, plays, poems, essays, collections, biographies etc. Most of it was windy, as if he were being paid by the column-inch. His importance was as a facilitator and encourager and publicist. Holden admits that even Eng. Lit. pros often have never heard of him. 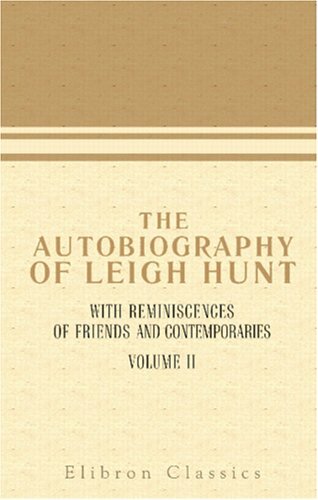 The puzzle of this book is that Hunt seems to have been a lovable man, although a jerk. 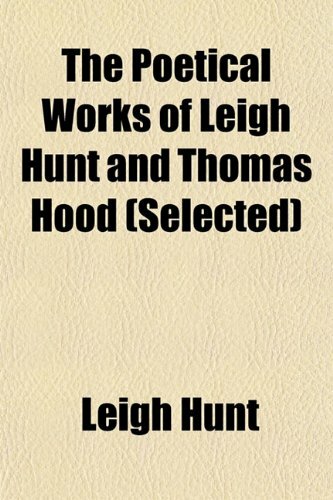 He had nine children and a drunken wife, who lived in modest style (for a middle class family, they were far better off than a working man's family), although Hunt got through hundreds of pounds a year at a time when a skilled craftsman got about a pound a week. 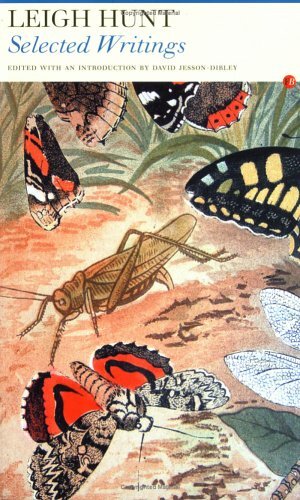 Some he earned only modestly by his restless writing, much came from literary friends who admired and -- inexplicably, at least from the evidence here -- loved him. Only the extracts from Nathanial Hawthorne's letters give any sense of what it was that attracted the sophisticates. Surprisingly, it was his childlike attitude. He doesn't come across as someone I'd have liked for a friend. 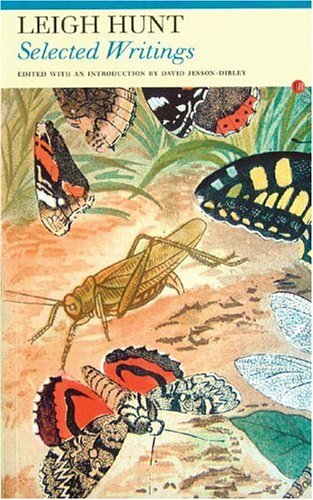 Holden finds him "one of the finest essayists in the language," and I find him almost unreadable. 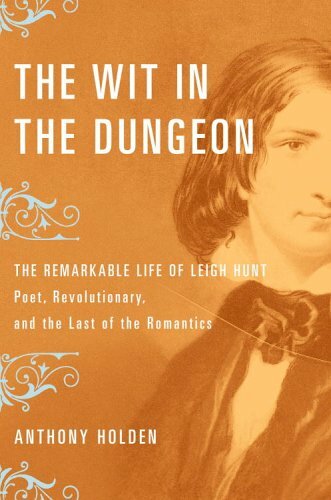 But if your taste is English Romanticism, "The Wit in the Dungeon" will be a page-turner. 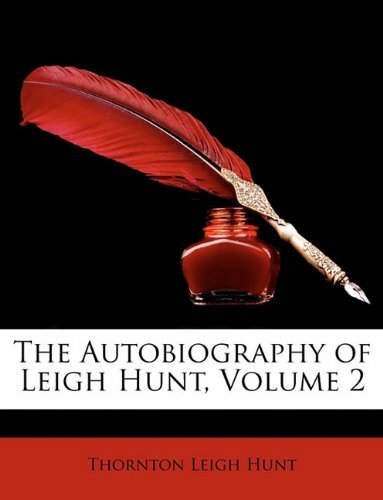 A biography of Romantic writer Leigh Hunt, one of the most influential and controversial flgures in the political and cultural life of 19th-century England. 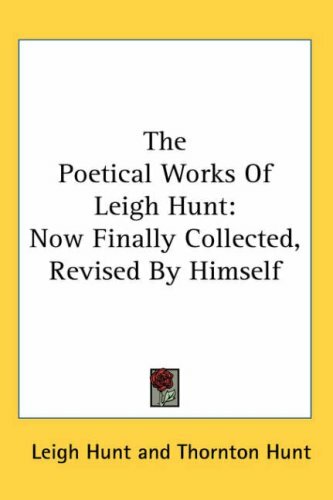 This anthology draws on the range of Hunt's poetry and prose, revealing a writer committed to the humane and civilizing powers of literature and friendship. 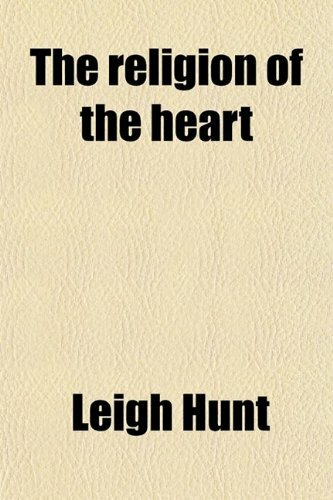 A record of revolt against religious and political tyranny in The Examiner, The Indicator, and Shelley's prose pamphlets, with intimate letters between the Shelleys and Leigh Hunt, partly from unpublished manuscripts.